At the beginning of 2015, we reviewed the events and risks which were expected to happen during the year, as it is usually the case with forex traders/analysis. We took a technical look at GBP/USD after the fallout following the Scottish independence referendum and concluded that this pair would stop falling (and probably move up on a rate hike) from the BOE. The first half of the assumption was correct, but the second half wasn´t because the global economic situation worsened and the BOE has remained dovish ever since. We also predicted that the Euro pairs would continue to slide since the ECB had already announced the start of quantitative easing. 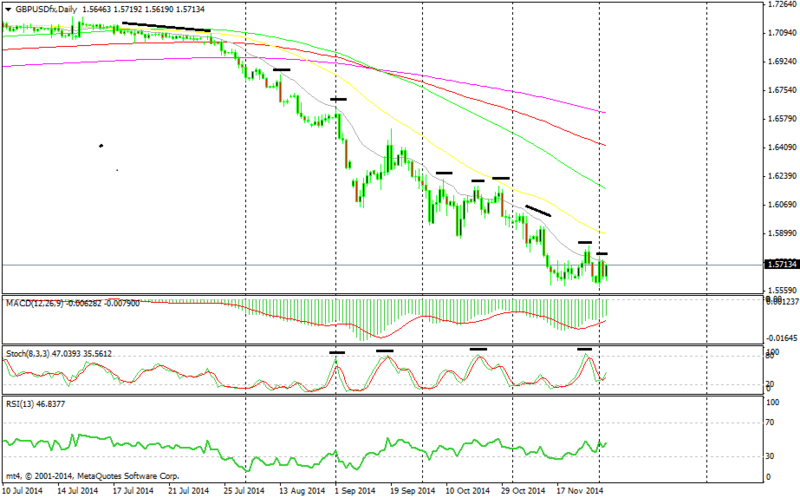 Although, we didn’t expect EUR/USD to fall beyond 1.10, which came short of the real bottom 1at 1.0460. Below you can find the analysis as of December 2014. Big investors, hedge and pension funds as well as good traders lay out plans and strategies in advance, usually before the quarter or a new year begins on both, fundamental and technical outlook. So we are suggesting a strategy to figure out 2015 in advance. I know that there are many factors to take in consideration which might affect the financial and especially currency markets, some of them can´t even be anticipated, like conflicts, natural disasters etc. Still, we have to prepare ourselves as best as we can with whatever is available to us. In order to predict the future we have to take a look at the past, how the economic trends have been going, and how certain events have affected the markets. One occurrence that had negative impact on the Euro was the conflict in the Ukraine. There was unrest in Ukraine in 2013 but no one saw the involvement of Russia and annexation of parts of Ukraine coming. Then, came the sanctions towards Russia which severely hit the Russian Ruble as well, sending it to historical lows. Another more predictable event was the turning point in the Euro, which happened in a couple of hours. The Euro has been pretty strong since bottoming in 2012 despite the difficulties in Europe, but in a single press conference, the ECB president Draghi reversed the two year uptrend on the 5th of May, sending EUR/USD 150 pips down on that day and more than 16 cents since then. Another event which didn´t happen in one day but accounted for a larger move, 18 cents in total on GBP/USD, was the Scottish independence referendum. It was two months after the downtrend on this pair begun, but fears about a possible breakup of the UK started creeping in two months in advance, with a little help from the technical side too. The top event for this year though, has been the BOJ easing, which has sent the Yen 20 cents down against the buck and more on other crosses. Now, let´s see what might happen that will persuade the markets in 2015. The most evident event is the monetary easing that the ECB will start in early 2015. The announcement of the starting date was supposed to be this week on Thursday, but it was postponed to next year. But this has been priced in already, so it is very unlikely to see another decline comparable in size to the one we have witnessed since May. There´s an expression that says “there´s no limits to good and bad” so there´s always that slight chance that this event might sink the Euro into abyss, say below parity against USD. But it seems very unlikely to me that the Euro would decline more than 6-7 cents from where it is now in the coming year. Another event which is also very eminent is the rate hike by the FED. Nothing is for sure in this business but this one’s almost certain. The US economy has been doing well for quite some time and together with the UK, they´re probably the two major economies/developed countries that are keeping the world economy away from a second crisis. All the components of the economy have expanded from manufacturing to services, new house buildings and sales, vehicle sales, business volumes, spending, borrowing, unemployment, GDP and so on, picking up pace during this year. The only component which has not kept up the pace with the rest of the economy is inflation, but that´s a lagging one. It used to be a worry for the FED and they put this in every monthly statement, but it was removed on October´s statement and from their vocabulary as well. The exact date has yet to be announced, but it will come sooner than later. Many economists see it in the first quarter of 2015. Now, this too has been cashed in to some extent and the tapper of the QE has already happened, but there´s still room to the upside and once it happens the money will gradually flow from low yielding areas like Europe and Japan. Last but not least, the UK. We have witnessed two different fundamental events this year in this country. One was the outperforming economy, especially in the first half of the year and the second was the Scottish referendum which we mentioned above, and they have been reflected on the currency, but we will have a look at this on the technical section of this article. The second half has not been as radiant as the first, but the economy is well into expansion and the rates will be raised. The only concern is the next door sick neighbor. UK has done well with its own means and the economy has still some more capacity to grow on its own, but if Europe doesn´t get their act together soon, the UK economy might run out of steam. In the first half of 2014 many believed that the rate hike would be during the first half of 2015, and now the forecasts have been pushed back to the second half of 2015. In order to do a yearly strategy based on technical analysis you have to use longer term charts like daily, weekly, monthly and even yearly analysis. Short term strategies and trading work fine on technical analysis alone but on the long term strategies you have to connect technical analysis to the fundamental analysis. 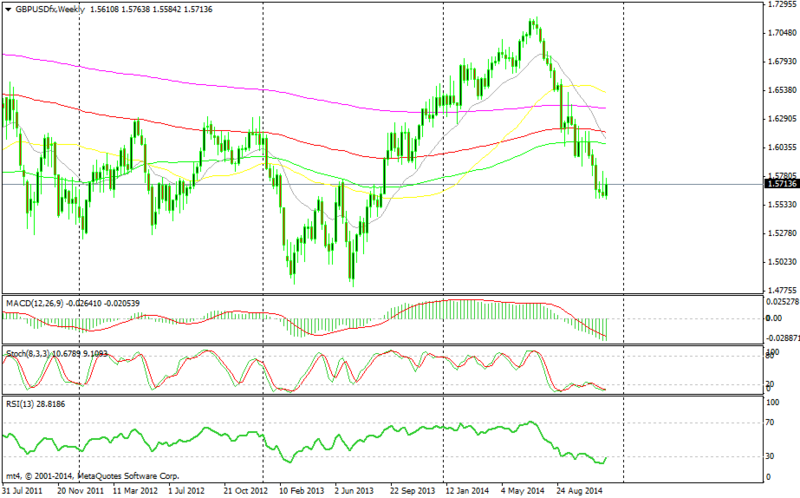 This can be seen very well on the GBP/USD 2014 charts. Last year has been strange and interesting for this pair. During the second half of last year and the first half of this year we have seen a relentless uptrend based on economic outlook. Than a swift reverse started on July and never looked back since, even though the economy and growth had been pretty much the same. As we said, the catalyst was the fear from Scottish independence. On the monthly chart the pair is right now in the middle of a horizontal channel and right below the 61.8 fib of the two year uptrend. By the looks of it, the first to raise rates will be the US so we might see a continuation lower during the first half of the year to the bottom line of the channel around 1.52-53, or maybe even dip briefly below it to 1.50 as a fake breakout (fake out). Then, on the second half, the rate rise will come and we´ll see this pair move up. The only risk is that we might see Europe going down during this year and that might pull the UK down, pushing the rate hike into 2016, but I doubt it. 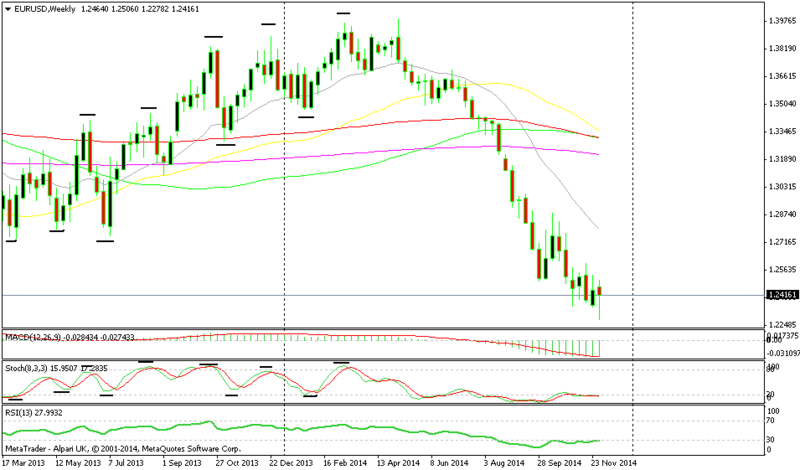 From a technical point of view, EUR/USD has fallen too much and too fast from 1.40 since May. 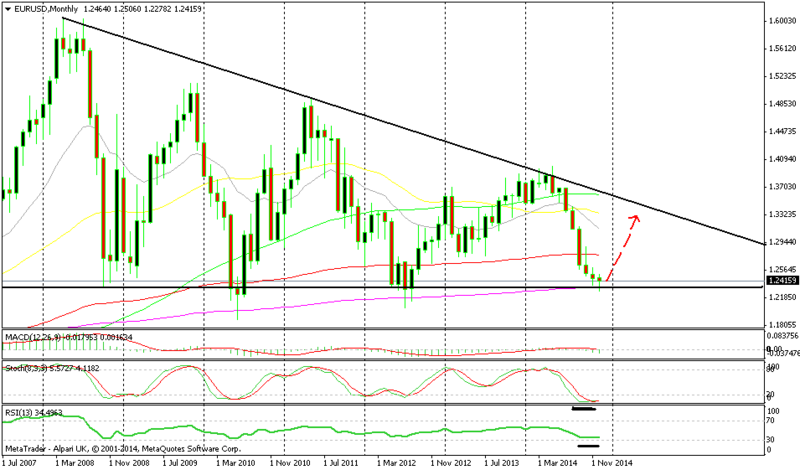 If you take a look at the weekly chart. However if you look at the monthly chart the decline doesn´t look so dramatic. In that chart we can see a descending wedge being formed and right now we are at the bottom of that line. Today is Thursday and ECB president Draghi just postponed the declaration of war, on the falling inflation I mean, which is the start of QE and pouring Euros in circulation. That bottom line is proving to be a tough nut to crack and it seems such a coincidence, that when the price is at critical technical levels, there´s also significance to economic news like today. This happens quite often because the traders push the price to these levels prior to the news and then there are the fundamentals that make the final decision to break them or not. So this pair is well oversold on monthly and weekly charts, therefore we might see a retrace take place in the coming weeks/months probably to 1.28 which provided resistance about two months ago, or even 1.30 where the top line of the wedge/triangle will be by that time. Then when the QE gets activated, which is expected somewhere on the first quarter of the year, we´ll see a continuation of the downtrend. I´m pretty sure that the bottom line will let go this time, because both economies have been in similar positions since 2008, first there was the crash and then the crawling back from the hole. But now they have diverged, US is expanding, the rates are about to be raised and the QE is over, while Europe is near deflation, we are seeing recession on some of the member countries, the rates are near 0% and the QE is about to start. So when the pullback is over I´ll be looking to short this pair and maybe adding on the smaller retracements on the way down. This can be done based on the oversold levels in Stocastichs and maybe RSI as you can see on the weekly chart, but on the opposite direction. You can add a few moving averages as well for some help. So, this was our forecast for major forex events and forex pairs at the end of 2014/beginning of 2015. 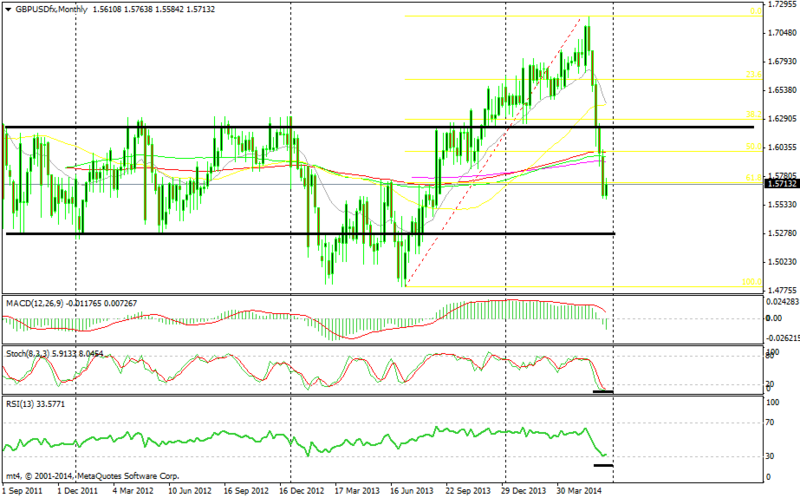 As we mentioned on the GBP/USD analysis, the global economic conditions worsened and the BOE postponed the rate hike. The FED also delayed the rate hike as much as possible, to only one hike in December. The ECB started the “helicopter money” programme which sent EUR/USD below 1.05. We didn’t expect to see that sort of decline, but we did expect a 6-7 cent decline from 1.20, so it was a decent call. The biggest event in 2015, though, came from the SNB (Swiss National Bank). These guys turned into monsters and nearly killed half of the forex industry when they suddenly removed the 1.20 peg in EUR/CHF. The biggest casualty was Alpari.UK and the account I had with them. But, hey, at least I’m alive and still in the business, while Alpari.UK is not.